Data privacy involves the protection of critical data that an organization holds related to customers or citizens. Not having a strong data privacy strategy in place can leave you with a number of vulnerabilities and open to risk. Businesses can be exposed to a wide variety of security threats including Distributed Denial of Service (DDoS) attacks, ransomware and phishing attempts to name a few. When it comes to regulatory requirements and protection of personal and confidential information, the location of your data is one of the key aspects of a data privacy strategy that must be considered. Canadian laws surrounding data privacy are far stricter than in other parts of the world. In fact, Canada’s Privacy Act imposes regulations that ultimately protect the data that resides in the country. This is referred to as Data Sovereignty and is an important reason why businesses in Canada and from other parts of the world choose to host their applications in Canada. Every business carries a rather large burden when it comes to keeping their customer’s data safe. A data breach could not only incur significant costs, but may also immeasurably damage a brand reputation. With almost 6,600 breaches occurring since 2005 and more than 880 million records being stolen worldwide, the risks are very real. A $1B USD increase in data processing and web hosting is forecasted in Canada by 2019. Your Managed Hosting and Data Centre provider should not only have data facilities in the country, but they should also demonstrate their data security procedures before you trust them with your critical infrastructure and systems. Canada’s Privacy Act came into effect on July 1, 1983. This Act imposes obligations spanning more than 250 different agencies and federal government departments in regards to privacy rights. It limits the disclosure, collection and use of personal information. In the event information online isn’t accurate, the party being affected can request that the information be changed. It also governs how information can be collected, used and disclosed by business owners. Canada has one of the strongest privacy laws in the world. With the right managed hosting provider in Canada, businesses are able to focus on growing their business and be confident that their data is protected. Data Sovereignty ensures that confidential information that is stored in digital form is subject to the laws of the country where the information is located. When your information is stored in a Canadian data centre, it is under the protection of the Canadian Privacy Act and the Personal Information Protection and Electronic Documents Act (PIPEDA). In contrast, if you store your data in the U.S. the Patriot Act would apply, which provides far-reaching access to data relative to PIPEDA. Read more about the PIPEDA. According to the Dell Data Security Survey, nearly 3 in 4 decision makers agree that data security is a priority for their organization, but getting started quickly is often a challenge. Deploying a data privacy strategy that includes data sovereignty can be complex for many businesses. 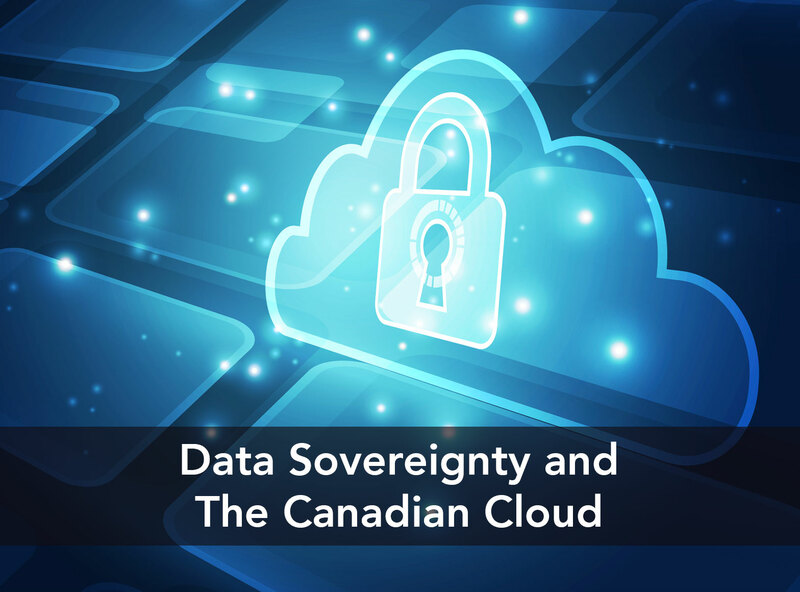 Canada’s Privacy Act and PIPEDA along with a Canadian Managed Cloud Hosting provider will enable many important aspects of a data privacy strategy. However, it is also critical that your provider has comprehensive data security practices and policies (and even certifications) in place to ensure they are compliant with your requirements. In addition, beyond locating data physically in Canada, a Managed Hosting Provider that is Canadian-owned with Canadian staff goes even further to protect the sovereignty of your data. We’ve included links to the Canadian Privacy Act , PIPEDA Act, and services we offer to help you get started.